One of the most delightful qualities of the cannabis plant is its characteristic kaleidoscope of beautiful aromas. 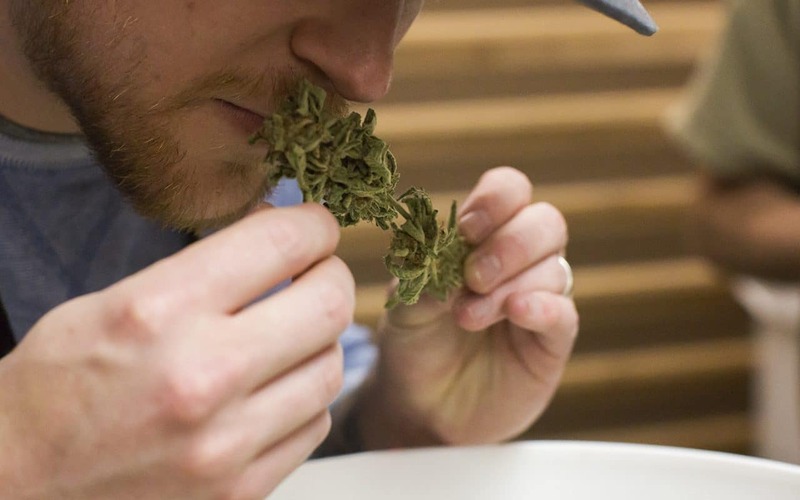 To the untrained nose, it might seem like these aromas tend to run out too quickly, but the truth is there are probably certain practices that you’re engaging in which could be compromising the quality of your cannabis terpenes. When purchasing some bud, don’t be afraid to take your time and inhale its scent fervently so that you can be sure you’re getting the cannabis you’re familiar with. At the end of the day, aromatherapy is an essential aspect of the cannabis purchasing experience. So don’t hesitate to exercise your right to inhale and make sure that you’re getting the right product. A little-known fact about the cannabis plant is that it doesn’t respond well to being left in plastic packaging for extended periods of time. The best way to preserve its glorious terpenes is to make sure that you transfer it into glass containers with an airtight seal as soon as you get home. This will keep those aromas safe and powerful so that you can enjoy them fully when the time comes. By now you’ve probably heard or have had first-person experience with the fact that cannabis has different strains that are distinct from one another as night and day. As such, you need to store them separately as mixing strains can degrade their quality and rob you of their authentic essence. Think about it this way; you wouldn’t eat food out of a dirty dish that has dried up particles of dirt, right? So why put fresh cannabis plant into a used container that has leftover resin on it? Take cleaning your cannabis pieces as a similar exercise to rinsing a glass after you’ve had some cool drink or juice from it. Trust us, your terpenes will thank you and you’ll get to experience the powerful aroma of your cannabis in its full force. As an organic plant, cannabis loses its potency every day you spend not using it. The best way to enjoy it is shortly after you get it because that’s when its flavors and aromas are at their peak. If you’ve purchased an overabundance of the herb then you can always share it with others as it’s best enjoyed with friends anyway. Grinders are good for more than just crushing your cannabis plant into a powdery substance that’s easy to work with. They actually help release its aromas so that you can really enjoy the experience. Another way to experience your bud’s real, authentic aroma is by lighting it with hemp wick instead of a lighter. Experts reckon that using a regular lighter covers up the plant’s unique terpenes which is why most weed ends up smelling the same even when it’s not the same. Next PostNext Can CBD Help with Muscle Recovery?